For kicks, here’s the final ranking compared to the predictions *I* had made back in August. Not too bad I’d say… Obviously I was way off on AC Milan and Lazio, but the rest was more or less in the ballpark for the top 10 teams no? And I defy anyone to tell me they had predicted Parma’s relegation. No ‘Goals of the week’ this time, but just a video celebrating Inter’s 16th Scudetto. Enjoy. 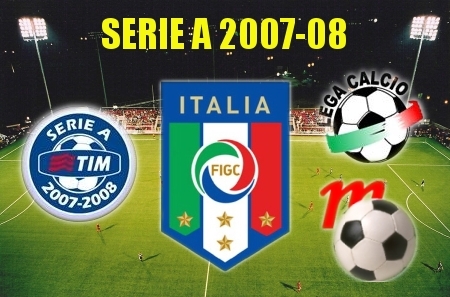 This entry was posted on Monday, May 19th, 2008 at 10:02 pm	and is filed under Inter, Serie A. You can follow any responses to this entry through the RSS 2.0 feed. Both comments and pings are currently closed.